Are you an industry newsmaker, or know someone who is? 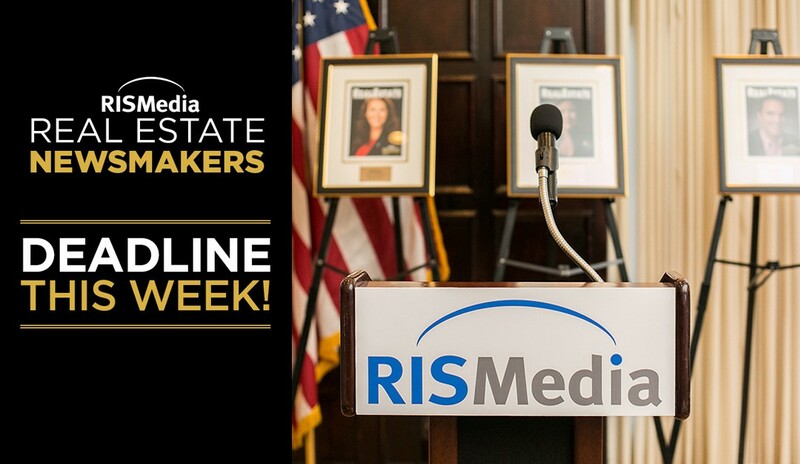 Act now to nominate yourself or others for RISMedia’s 2019 Real Estate Newsmakers, designed to recognize individuals making headlines as a result of their newsworthy contributions to the residential/commercial real estate industries, and/or their efforts to positively affect consumers and communities they serve. The deadline for nominations is this Saturday, Sept. 15, 2018. Newsmakers will be showcased in the December issue of RISMedia’s Real Estate magazine, and honored at the National Press Club next May in Washington, D.C.
RISMedia announced its first-ever Newsmakers this year. For more information, please visit RISMedia.com.